On many weekends, a Richmond couple and their seven children squeeze into their eldest son’s small, two-bedroom house in the city’s North Side so the family can rent their spacious five-bedroom home in the nearby Fan District to guests from the lodging website Airbnb. Last year, the family says it grossed about $60,000 (before Airbnb fees, taxes and related costs) renting their home to groups such as book clubs and wedding parties for $650 to $840 per night. The couple has used the money to make home improvements, fund extracurricular activities for their children and pay college expenses for their eldest daughter, who will start at William & Mary in the fall. However, there is one problem: It’s still not legal to rent one’s residence for short-term stays in the city of Richmond. Despite that, on any given day there are more than 700 Airbnb listings in the city. In fact, it’s the third-most popular Airbnb destination in Virginia, according to Airdna, a site that collects data and analytics on Airbnb. As of late March, there were nearly 10,000 active Airbnb listings statewide. According to a survey by Airbnb, Virginia’s host community earned $41.4 million in supplemental income by welcoming 280,000 guests in 2016, with Charlottesville seeing the highest number of guests at 35,100. Virginia, along with other states, is looking at short-term rentals in residential areas. While few localities outright ban such rentals — Richmond’s law was on the books long before Airbnb came along — concern is growing now that online sites make it easier for people to rent out their homes. Some states are passing new rules in an attempt to ease tensions between homeowners who want to earn money in the sharing economy and the hospitality industry. During this year’s session, the Virginia General Assembly passed a bill that gives localities the option of requiring residents who offer short-term rentals to register with them. The law, which takes effect July 1, defines short-term rentals as lodging for less than 30 consecutive days in exchange for a fee. It also authorizes local governments to impose penalties not to exceed $500 per incident on hosts who violate the registry ordinance. The bill received bipartisan support from the Virginia Association of Counties, the Virginia Restaurant, Lodging and Travel Association, the Virginia Association of Realtors and other groups. Like Uber and other industry “disruptors,” Airbnb is encountering resistance from competitors who point out that some Airbnb hosts don’t pay state or local taxes or comply with the same safety and business regulations that apply to lodging businesses. The Richmond couple is aware that Airbnb hosting is not legal in Richmond. They have lived in their home for 16 years and have been renting it out since September 2015 when Richmond hosted the UCI international bicycle race. The wife says the couple pays federal taxes on their income as a host, but not state or local taxes. She doesn’t have a business license, collect lodging fees or comply with local regulations applying to lodging facilities. Certainly not all hosts are operating illegally. 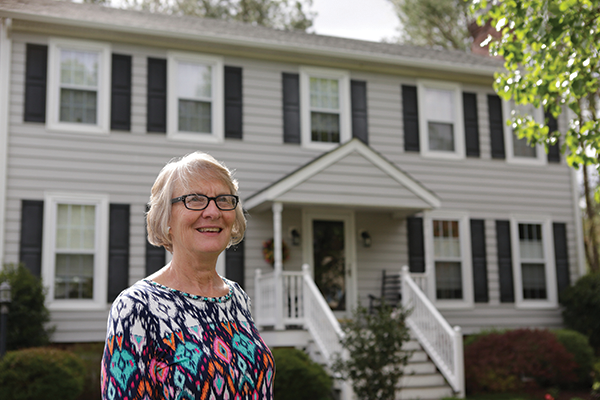 Barb Pemberton, a retired Albemarle County schoolteacher, rents her four-bedroom, two-story Colonial once or twice a month, usually for $225 to $275 per night, to earn supplemental income. After learning from a neighbor that she needed a business license, she went to the county government and ended up spending about $1,200 for permits and bringing her house up to code so she could get an accessory tourist lodging license. It allows private homeowners in residential-zoned neighborhoods to rent rooms within their primary dwelling places. Pemberton also collects a 5 percent local occupancy tax from her guests that she pays to the county each month. Airbnb offered an alternative proposal in Virginia that would have had the online platform directly collecting and paying taxes to the state and localities on behalf of its hosts and guests. Yet local governments and the lodging industry opposed this move, saying localities still wouldn’t have the ability to regulate Airbnb host properties because of the company’s practice of not publicly disclosing the street addresses of hosts. Airbnb points out that it has made similar deals with other localities, including Washington, D.C., and San Francisco, and has remitted more than $170 million in taxes to 220 jurisdictions worldwide under such agreements since 2014. Arlington County legalized Airbnb-style, short-term rentals in residential dwellings last year, subject to restrictions. The county requires that the home be the Airbnb host’s primary dwelling and that hosts get a permit from the county and comply with county building codes. Also, there can be no more than six lodgers, or two lodgers per bedroom, in a unit per night. Eric Terry, president of the Virginia Restaurant, Lodging and Travel Association, says that it isn’t opposed to Airbnb but wants to make sure that hosts don’t have any unfair advantage over traditional lodging facilities that pay and collect taxes and comply with state and local health regulations and other laws. Additionally, he says, localities lose tax revenue from tourism because the vast majority of Airbnb hosts are not collecting lodging taxes from their guests. Airbnb guests learn the street address of a host property only when a financial transaction has been completed, making it very difficult for localities — and neighbors — to learn who is renting their home or rooms on Airbnb. Denver-based Apartment Investment & Management Co. (Aimco), one of the largest apartment community management companies in the nation, has filed suit against Airbnb in Florida and California, alleging it is aiding tenants in breaking the terms of their leases to illegally sublet rooms and apartments. Keith Kimmel, executive vice president of property operations for Aimco, says the company has evicted tenants who have leased their apartments through Airbnb, and it has had troubles with Airbnb guests partying in vacation mode at their properties. In some cases, Kimmel says, Airbnb hosts will lease multiple apartments from Aimco without living in them, solely to offer the apartments as short-term rentals on Airbnb. “Our No. 1 objective is to create a safe living environment for our residents, one that is predictable,” Kimmel says. “When they rented with us, it was with the expectation that they’re moving into a community,” not living next door to a hotel-like operation with a “turnstile” of people. At the stately Mayhurst Inn bed and breakfast in Orange, Jack North says he pays his taxes and complies with state and local lodging, health, restaurant and ABC regulations and fees. As a result of a Virginia Department of Transportation requirement, he once had to pay about $50,000 to put in a semi-circular driveway. A board member of the Professional Association of Innkeepers International, North also lists the Mayhurst on Airbnb. “I’d be crazy not to,” he says, explaining that Airbnb’s marketing and site traffic are so good, the site brings him new customers. Its fees for lodging providers are far less than those charged by sites like Expedia and Priceline, he adds, with Airbnb charging hosts about 3 percent in fees. What North’s not happy about are Airbnb hosts who operate illegally and don’t pay taxes or comply with the same regulations. His restored 1859 Italianate Victorian plantation manor with eight guest rooms and 37 acres of landscaped lawns and gardens can beat any residential home for amenities, he says, but he can’t compete on cost with people who don’t pay taxes and have little overhead.